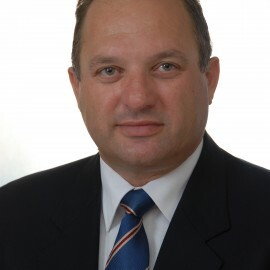 Dr Panikkos Poutziouris is Professor of Entrepreneurship and Family Business at UCLAN Cyprus –The Enterprising British University in Cyprus, heading the School of Business and Management. He has served for almost two decades on the Faculty of Manchester Business School – University of Manchester (UK) as Fellow in SME Management, Senior Lecturer in Entrepreneurship and Visiting Associate Professor for Family Business Initiatives . Professor Poutziouris lectures, researches, publishes and advises internationally on Entrepreneurship and Strategic Development of Family Businesses and Business Families. He has offered his advice and support to a number of small-medium-large sized family enterprises; finance houses/banks, governments, and other enterprise support agencies including the Directorate of Enterprise and Industry of the European Commission and OECD. He has led a number of initiatives which have been supported by UBS Wealth Management,Tilney Fund Management, Saggita Fund Management, BDO Stoy Hayward, KPMG, National Westminster Bank , Grant Thornton, PWC etc. His research and commentaries have been featured by leading business press such as Financial Times , Sunday Times , Kathimerini, International HeraldTribune, etc. He is the Past President of IFERA (International Family Enterprise Research Academy) and previously served on the advisory board of IFB (UK). In 2011, Family Firm Institute has honored Dr Poutziouris with the FFI International Award.